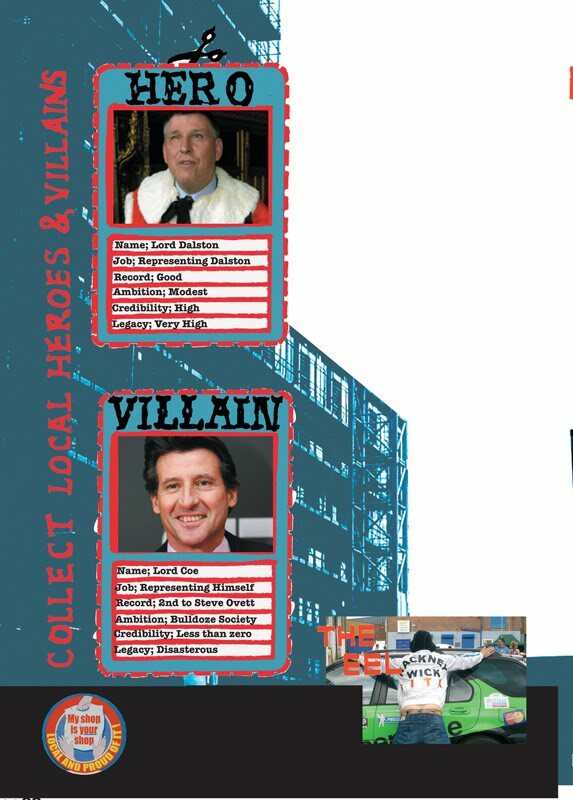 This satirical image showing Lord Low and Lord Coe, with Phase 1 of Dalston's tower blocks under construction in the background, has been circulating in the public domain in Hackney for quite some time now. In view of the emerging scandal of Dalston's £40million Olympic bus stop OPEN would like to take this opportunity to correct some of the glaring inaccuracies this image contains. Just for starters. Lord Low of Dalston's job is NOT to represent Dalston - he is a cross bench "people's peer" who sits in the House of Lords for the greater good. And secondly, for the record, Lord Coe DID come first (two Olympic Gold Medals in fact when he was just humble Seb Coe).